US free news sites BuzzFeed, HuffPost feel the layoff pinch - Integration Through Media ....! 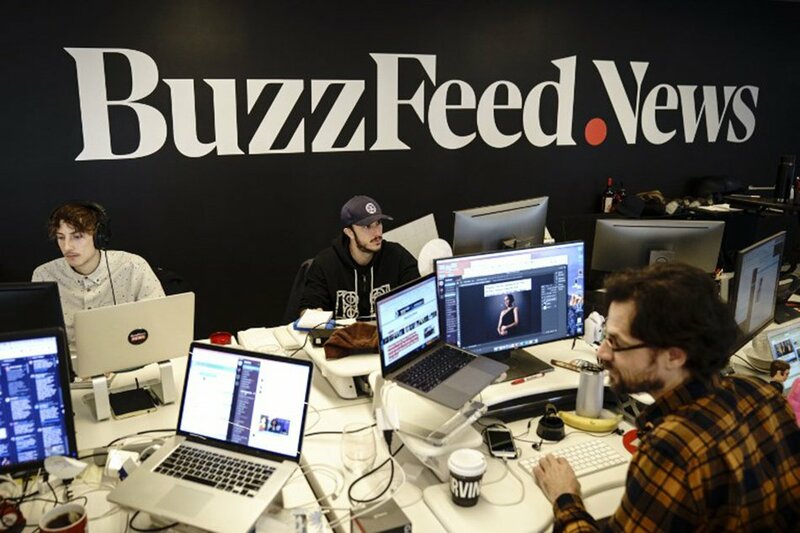 NEW YORK, (AFP) – America’s free online news heavyweights, BuzzFeed and HuffPost, this week were rocked by a new wave of layoffs, a sign of an advertising-dependent economic model under threat. Over at HuffPost, about 10 percent of journalists left editorial staff this week, or about 20 people in total. No explanation was publicly given for the cuts, but the reasons are clear. The HuffPost’s parent company is Verizon Media (formerly Oath Inc), which owns other digital platforms such as AOL, Yahoo! and Verizon Media Services – all of which are suffering job cuts. “They were started pretty much with the idea of trying to assemble a great big audience and then sell advertising against those numbers,” said Rick Edmonds, a media business analyst at the Poynter Institute. “The free, ad-based model on which a lot of digital media projects are built is in jeopardy,” warned Dan Kennedy, journalism professor at Northeastern University. Edmonds believes that neither BuzzFeed nor HuffPost are in danger of disappearing. But their status is tarnished in the eyes of many tech investors accustomed to a double-digit annual growth. The co-founder and CEO of BuzzFeed, who is also co-founder of the Huffington Post (now HuffPost), Jonah Peretti, sees a solution in a merger with one or more other market players. He has publicly floated the ideas of merging Vice, Vox, Refinery29 and Group Nine, all “pure players,” all internet media. Each of them also advanced on the niche of video, but all have also been cutting staff in the past 18 months. “You’ll never hear me say that a merger makes sense,” Kennedy said. However BuzzFeed does not seem ready to change its format to offer more specialized content — the successful formula for other free information sites like Eater, Politico and Vulture. Of course the nuclear option is still available: switching to a paywall system, a move that increasingly has become a necessity for online news. “For any news-gathering operation to be dependent on advertising is perilous,” said Christopher Daly, journalism professor at Boston University’s College of Communication. “From my study of history, I would say the only truly reliable source of funding for journalism is the audience. They are more reliable than advertisers, or wealthy patrons, or political parties, or any other source,” Daly said. In November, BuzzFeed launched a $5 monthly subscription plan that offers access to newsletters and additional content. The main site remains free. “I think that’s hard when you’ve gotten people used to it being free for so long,” Edmonds said, referring to a possible paywall for BuzzFeed and HuffPost. For Edmonds, the two news sites “both have journalism but it’s a little bit mixed in with the lighter content on the side. “I don’t think people would pay much for that. That would be a difficult transition for them,” he said.